The research program “SIGNALIFE” has been selected by the French Ministry of Research and Education during the highly competitive Labex “Laboratoire d’Excellence” call, within the framework of the governmental initiative “Investments for the Future” in 2011. 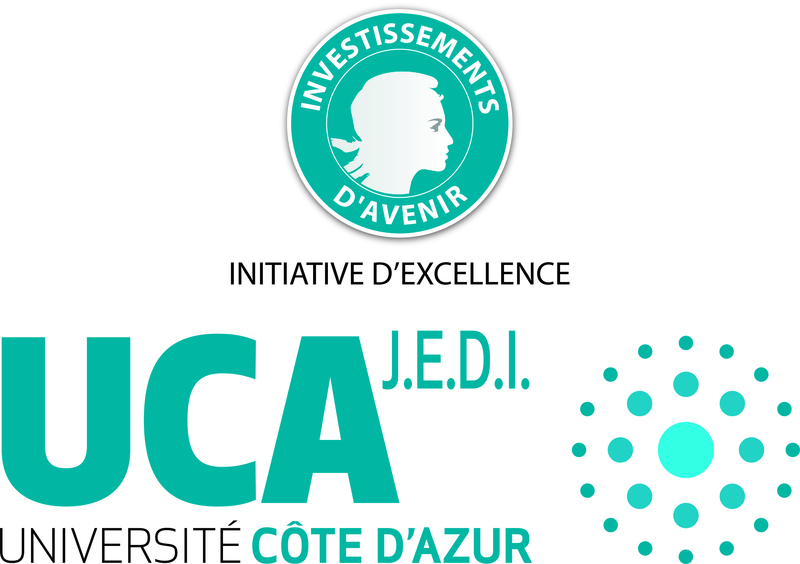 Since 2016, it is part of the Idex (Initiative of Excellence) UCA Jedi program of the University (Labex in Idex). 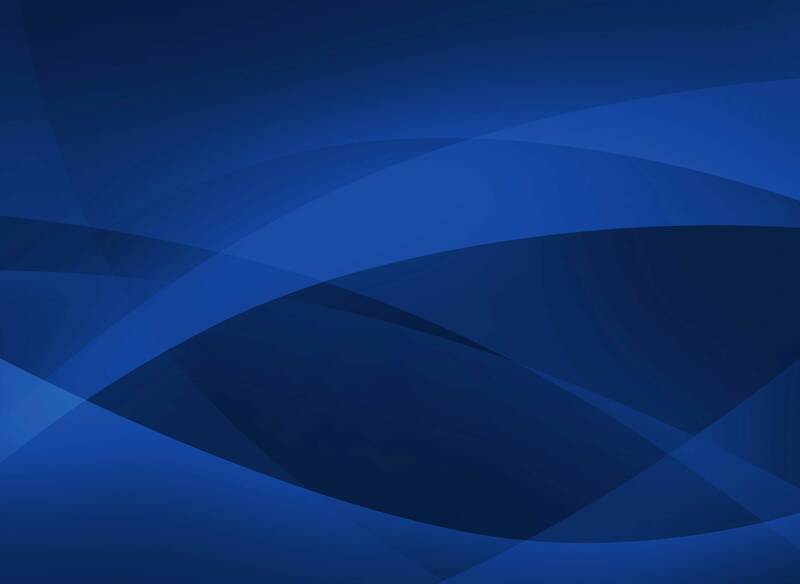 The research program of the Labex SIGNALIFE has been awarded 11 million euros over an 8-year period, starting in March 2012. The Labex SIGNALIFE aims at developing a research network between six leading academic research institutes in Nice. This project will thus contribute to establishing an interactive network of regional institutes in the life sciences, focused on the study of signaling pathways in animal and plants, essential to our understanding of human health and fundamental biological processes. The key initiative of the Labex SIGNALIFE is to advance postgraduate and research training through the recruitment of talented and highly motivated PhD students. A total of 75 recruitments are planned throughout the 8-year period. 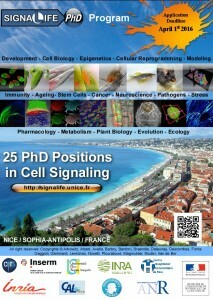 The Labex SIGNALIFE is hosted by the Université Nice Sophia Antipolis (UNS) and unites leading teams investigating diverse aspects of signaling pathways: 49 teams, 500 scientists including 280 permanent positions. The Labex SIGNALIFE is supported by all major research organisms in the life and medical sciences (UNS, CNRS, Inserm, INRA, Inria, Nice University Hospitals, Antoine Lacassagne Cancer Center). Private companies as well as local authorities further support the initiative of the Labex SIGNALIFE to build a novel interdisciplinary research network of excellence for life sciences and human health. 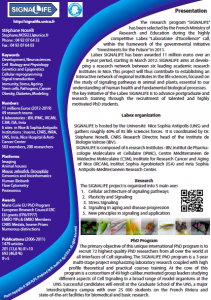 State of the art research platforms and facilities of participant institutes of Labex SIGNALIFE, coordinated by a Platform Committee, include: top-level microscopy imaging platforms at all member institutes (MICA, IBiSA label), animal housing facilities (mouse, zebrafish, Drosophila, nematodes), greenhouses and human biobanks. 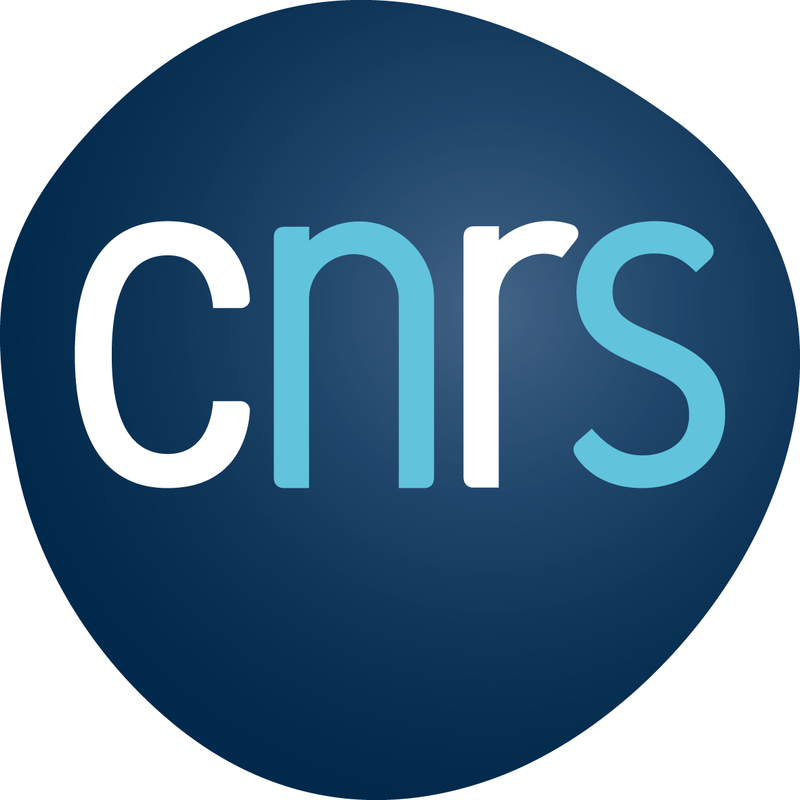 SIGNALIFE is also a member of the National Infrastructure cluster for genomic studies in biology and health sciences (Investments for The Future, program ‘France Génomique’ 2010). 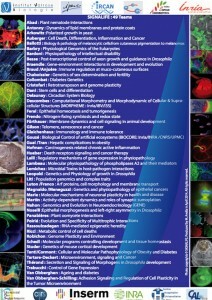 The individual research groups participating in the Labex SIGNALIFE represent scientifically outstanding and internationally recognized teams (4 ERC grants, 22 EU grants, 1 Marie Curie International PhD Program, 24 ATIP/AVENIR, 4 EMBO Members, 5 EMBO YIPs, 2 CNRS Silver Medals, 7 CNRS Bronze Medals, 2 Inserm Prizes, 9 Prizes of the French Academy of Sciences, and others). Collectively, SIGNALIFE partners have published over 1479 articles since 2006 (201 (13,6%) in journals with an Impact Factor>10 and 692 (46,8%) in journals with an Impact Factor>5). 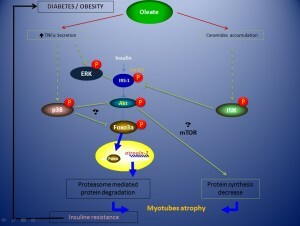 Signaling pathways are central to all biological processes and their deregulation can lead to various congenital defects and diseases. Targeting signaling pathways by specific drugs is a major objective of the pharmaceutical industry to treat cancer, neurological, metabolic and cardiac disorders, to cite a few. 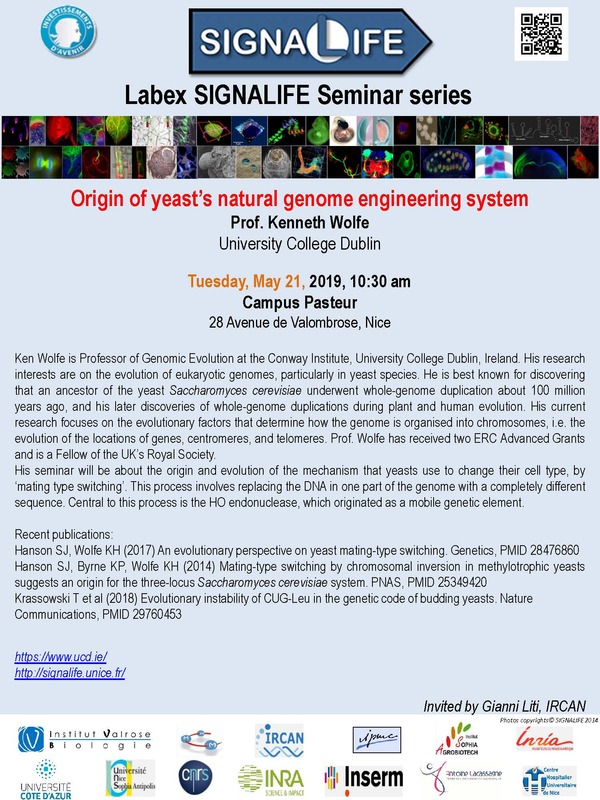 The study of signaling pathways therefore represents a major challenge for both life and health sciences but also for plant development. SIGNALIFE network creates a unique scientific community covering the full spectrum of biological models (bacteria, fungi, plants, invertebrates, mammals) and approaches (biochemistry, genetics, imaging, high throughput screening, clinical approaches, comparative genomics, modeling) to study signaling pathways globally from their basic structure/composition to their modulation by endogenous or environmental stresses and their role and impact in human and plant health. 2. Scientific Council : responsible for the inter- and intra-axes scientific coordination, scientific progress reports, organizing scientific activities, etc. 3. Education Committee : PhD and post-docs recruitments, coordination of teaching, etc. 4. Platform Committee : coordination of platform functioning and development. 5. Valorization Committee : help in exploitation of the results and valorization projects. SIGNALIFE project has been selected for its research excellence, gathering in their geographical area most of the forces in their discipline. The SIGNALIFE network will be a barrier breaker opening access to knowledge and expertise on various models for sustainable development and promoting the linkage of basic and clinical research for improved human health, societal well-being and economic growth. 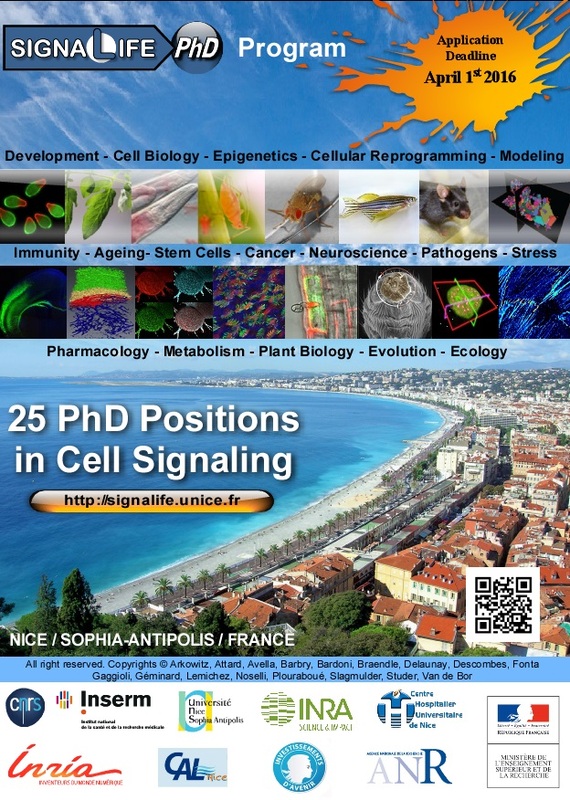 The International SIGNALIFE PhD program of the University of Nice-Sophia Antipolis is currently accepting applications for about twenty 3-year PhD positions to be started each September (total 72 PhD recruitments in between 2013 and 2016). Successful candidates will enroll at the Graduate School of the University of Nice Sophia Antipolis (Life Sciences and Health Doctoral School ). 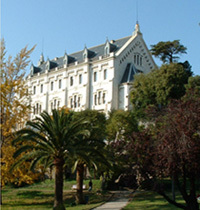 This University is a major interdisciplinary campus with over 25 000 students on the French Riviera in the South of France and has state-of-the-art facilities for biomedical and basic research.